Facebook CEO Mark Zuckerberg is appearing before the European Parliament today to discuss the issue of user privacy. 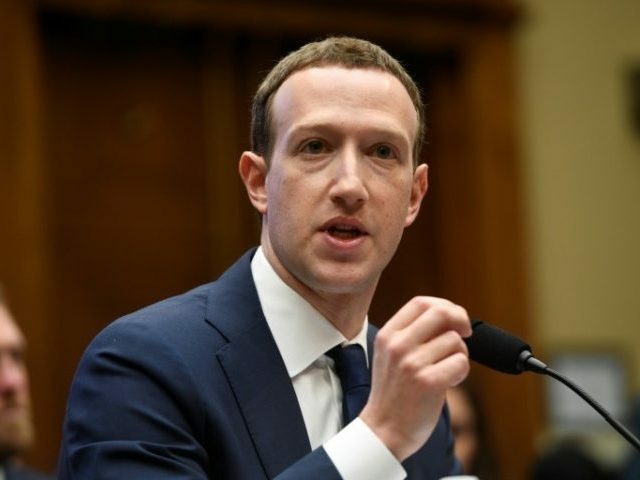 Mark Zuckerberg is expected to give a statement before the European Parliament today where he will discuss issues of user privacy and the aim of his company. According to Zuckerberg’s prepared remarks obtained by Business Insider, he will apologize for the recent Cambridge Analytica data scandal which allegedly saw the personal information of 87 million users accessed without their permission, Zuckerberg will also cite the company’s commitment to Europe, noting the Facebook offices in Ireland and England. “Europeans make up a large and incredibly important part of our global community. Many of the values Europeans care most deeply about are values we share: from the importance of human rights and the need for community to a love of technology, with all the potential it brings. “In order to realize that potential, we need to make technology a force for good. As Facebook has grown, we’ve helped give people everywhere a powerful new tool to stay connected with the people they care about. After the recent terrorist attacks in Berlin, Paris, London and here in Brussels, tens of thousands of people have used Safety Check to let their friends and family know they’re safe. Refugees arriving in Europe are using Facebook to stay in touch with their loved ones back home and find new communities here. There are 18 million small businesses in Europe that use Facebook today, mostly for free — almost half of whom say they have hired more people as a result. “But it’s also become clear over the last couple of years that we haven’t done enough to prevent the tools we’ve built from being used for harm as well. Whether it’s fake news, foreign interference in elections or developers misusing people’s information, we didn’t take a broad enough view of our responsibilities. That was a mistake, and I’m sorry. “It will take time to work through all of the changes we must make. But I’m committed to getting it right — and to making the significant investments needed to keep people safe. For example, we’re doubling the number of people working on safety and security to more than 20,000 people by the end of this year. On top of the investments we’re making in other areas, I expect this will significantly impact our profitability. But I want to be clear: keeping people safe will always be more important than maximizing our profits. “We’re committed to Europe. Ireland is home to our European Headquarters. London is home to our biggest engineering team outside the United States; Paris is home to our artificial intelligence research lab; and we have data centers in Sweden, Ireland and Denmark, which will open in 2020. By the end of 2018, Facebook will employ 10,000 people across 12 European cities — up from 7,000 today. And we will continue to invest. For example, we’ve committed to providing one million people and small businesses with digital skills training by 2020. “My top priority has always been our social mission of connecting people, helping them to build communities and bringing the world closer together.